Amazon ElastiCache makes it easy to for you to set up a fast, in-memory data store and cache. With support for the two most popular open source offerings (Redis and Memcached), ElastiCache supports the demanding needs of game leaderboards, in-memory analytics, and large-scale messaging. Today I would like to tell you about an important addition to Amazon ElastiCache for Redis. You can already create clusters with up to 15 shards, each responsible for storing keys and values for a specific set of slots (each cluster has exactly 16,384 slots). A single cluster can expand to store 3.55 terabytes of in-memory data while supporting up to 20 million reads and 4.5 million writes per second. You can now adjust the number of shards in a running ElastiCache for Redis cluster while the cluster remains online and responding to requests. This gives you the power to respond to changes in traffic and data volume without having to take the cluster offline or to start with an empty cache. 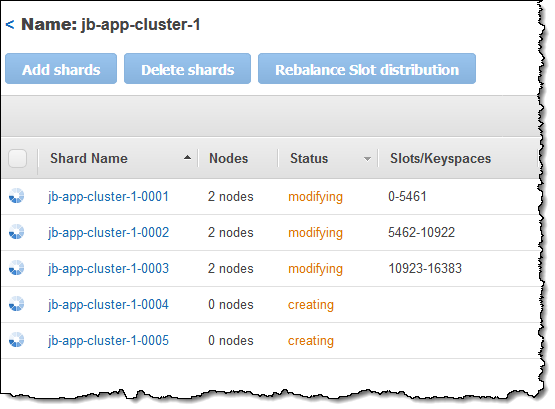 You can also rebalance a running cluster to uniformly redistribute slot space without changing the number of shards. When you initiate a resharding or rebalancing operation, ElastiCache for Redis starts by preparing a plan that will result in an even distribution of slots across the shards in the cluster. Then it transfers slots across shards, moving many in parallel for efficiency. This all happens while the cluster continues to respond to requests, with a modest impact on write throughput for writes to a slot that is in motion. The migration rate is dependent on the instance type, network speed, read/write traffic to the slots, and is generally about 1 gigabyte per minute. Memory Pressure – FreeableMemory, SwapUsage, BytesUsedForCache. CPU Bottleneck – CPUUtilization, CurrConnections, NewConnections. Network Bottleneck – NetworkBytesIn, NetworkBytesOut. 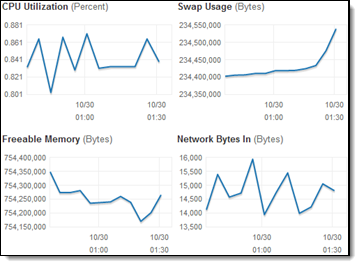 You can use CloudWatch Dashboards to monitor these metrics, and CloudWatch Alarms to automate the resharding process. During the resharding you should avoid the use of the KEYS and SMEMBERS commands, as well as compute-intensive Lua scripts in order to moderate the load on the cluster shards. You should avoid the FLUSHDB and FLUSHALL commands entirely; using them will interrupt and then abort the resharding process. The same process takes place when you delete shards. 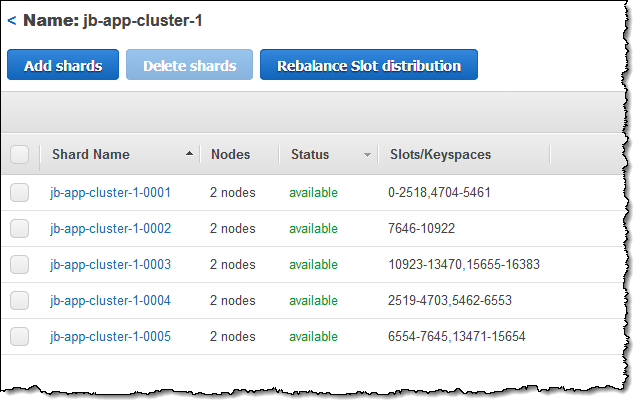 Engine Version – Your cluster must be running version 3.2.10 of the Redis engine. Migration Size – Slots that contain items that are larger than 256 megabytes after serialization are not migrated. Cluster Endpoint – The cluster endpoint does not change as a result of a resharding or rebalancing. 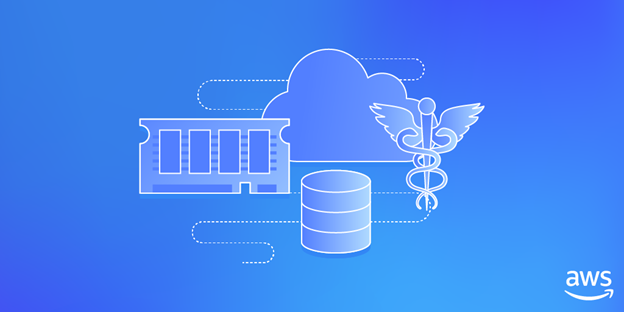 Amazon ElastiCache for Redis is now a HIPAA Eligible Service and has been added to the AWS Business Associate Addendum (BAA). This means you can use ElastiCache for Redis to help you power healthcare applications as well as process, maintain, and store protected health information (PHI). ElastiCache for Redis is a Redis-compatible, fully-managed, in-memory data store and cache in the cloud that provides sub-millisecond latency to power applications. Now you can use the speed, simplicity, and flexibility of ElastiCache for Redis to build secure, fast, and internet-scale healthcare applications. ElastiCache for Redis with HIPAA eligibility is available for all current-generation instance node types and requires Redis engine version 3.2.6. You must ensure that nodes are configured to encrypt the data in transit and at rest, and to authenticate Redis commands before the engine executes them. See Architecting for HIPAA Security and Compliance on Amazon Web Services for information about how to configure Amazon HIPAA Eligible Services to store, process, and transmit PHI. ElastiCache for Redis uses Advanced Encryption Standard (AES)-512 symmetric keys to encrypt data on disk. The Redis backups stored in Amazon S3 are encrypted with server-side encryption (SSE) using AES-256 symmetric keys. ElastiCache for Redis uses Transport Layer Security (TLS) to encrypt data in transit. It uses the Redis AUTH token that you provide at the time of Redis cluster creation to authenticate the Redis commands coming from clients. The AUTH token is encrypted using AWS Key Management Service. There is no additional charge for using ElastiCache for Redis clusters with HIPAA eligibility. To get started, see HIPAA Compliance for Amazon ElastiCache for Redis. Amazon ElastiCache for Redis now supports encryption for secure internode communications to help keep personally identifiable information (PII) safe. Both encryption in transit and at rest are supported. The new encryption in-transit feature enables you to encrypt all communications between clients and Redis servers as well as between Redis servers (primary and read replica nodes). The encryption at-rest feature allows you to encrypt your ElastiCache for Redis backups on disk and in Amazon S3. Additionally, you can use the Redis AUTH command for an added level of authentication. If you are in the Financial Services, Healthcare, and Telecommunications sectors, this new encryption functionality can help you protect your sensitive data sets and meet compliance requirements. You can start using the new functionality by enabling it at the time of cluster creation via the ElastiCache console or through the API. You don’t have to manage the lifecycle of your certificates because ElastiCache for Redis automatically manages the issuance, renewal, and expiration of your certificates. For more information, see Enabling In-Transit Encryption and Enabling At-Rest Encryption. There is no additional charge to use this feature, and it is available in the US West (Oregon), US West (N. California), US East (Ohio), US East (N. Virginia), Canada (Central), EU (Ireland), and South America (São Paulo) Regions. 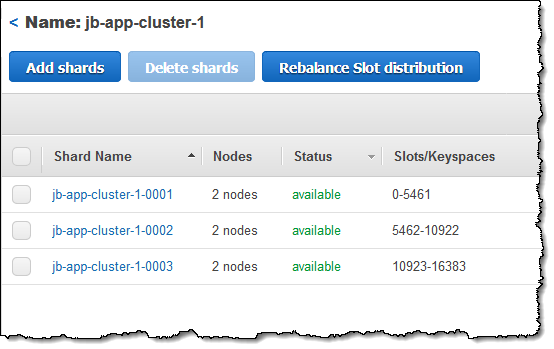 We will make this feature available in other AWS Regions as well. 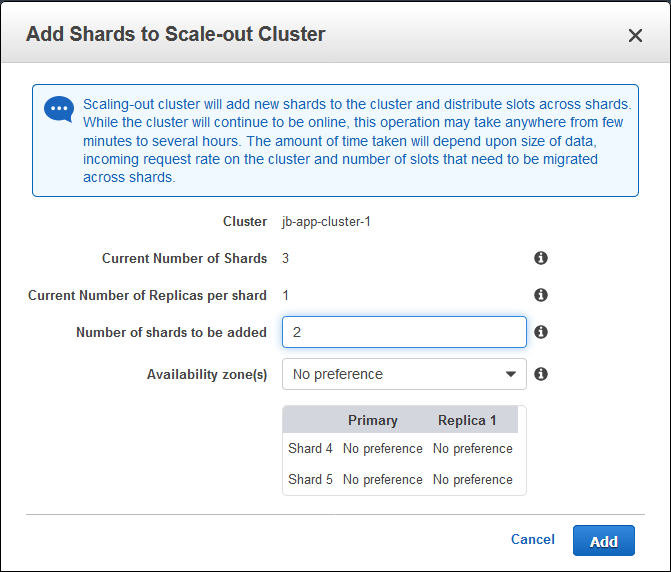 For more information about this feature and Amazon ElastiCache for Redis, see the ElastiCache for Redis FAQs.